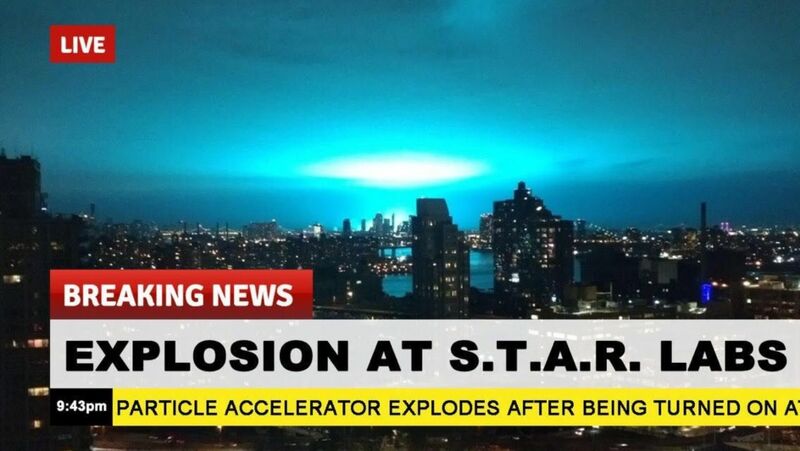 On Thursday night, the sky over New York City lit up a splendid and shocking blue, the culprit being an episode at the Con Edison electrical office in Astoria, Queens. However, DC fans have different thoughts regarding what truly occurred – and it includes S.T.A.R. Labs. On Twitter, New Yorkers rapidly started speculating about what precisely was causing the night sky to sparkle electric blue with many indicating an alien attack, Netflix’s Bird Box making the jump from fiction to the real world, or even Godzilla making his essence known. Those are most of the speculations, but for fans of The Flash, the genuine source of the blue light is simple: the atom accelerator at S.T.A.R. Labs detonated which implies we’re going to be metahumans now. As fanatics of The Flash – especially The CW TV series- can let you know, a particle accelerator blast is actually how Barry Allen (played by Grant Gustin) gets his powers. Amid the series pilot, the S.T.A.R. Labs accelerator is turned on and rapidly detonates, sending dark matter all over Central City. Barry, who is functioning as an investigator for the Central City Police Department, is hit by this rush of dark matter and also gets struck by genuine lightning, his body sent colliding with chemicals in his labs. The outcome? At the point when Barry at last awakens from a coma after months, he has super speed and turns into the legend known as The Flash. We’ve curated a portion of our most loved Flash-related responses to the Con Edison blast for you to appreciate so read on to read how people responded to “S.T.A.R. Labs” illuminating the New York sky a week ago.